ByItaly is the site that allows you to adopt an olive tree in Italy. Our country is the most well-known for the production of extra virgin olive oil, and we want to share this enthusiasm with you all! Now everyone can get their oil from their own olive tree. After looking at photos and videos, choose an olive grove in the most green italian regions. Become the adoptive parent of an olive tree in Italy and get your adoption certificate. 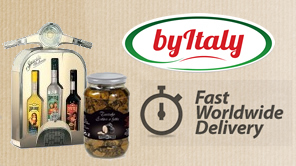 When the olives on your tree are ready, we will deliver your extra virgin olive oil to your home! 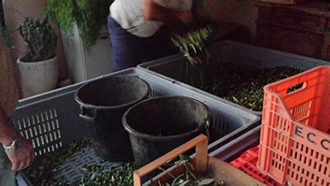 Making olive oil in Italy is tradition and passion that has been handed down from father to son. Becoming an adoptive parent of an olive tree you will help small italian farmers to continue this love for the nature and for the extra virgin olive oil. Finally, you can proudly put on the table an extra virgin olive oil from your italian tree and you can tell all your friends where it comes from and how it was produced. Do not wait any longer, click and adopt an italian olive tree today! The extra virgin olive oil is a functional food but also cosmetics. They knew well the ancient Roman matrons who spent fortunes to the viridum, or green oil from unripe olives, very precious and expensive, suitable for skin care.